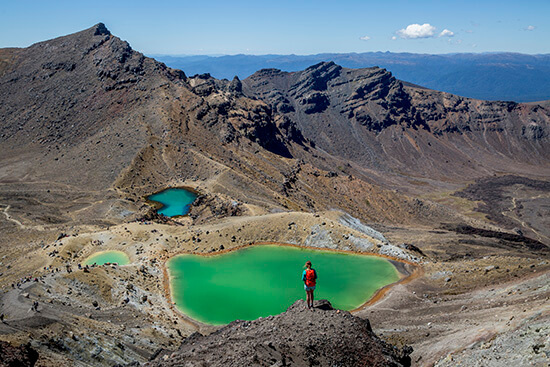 Sliced by white-water rivers and iced with snow-tipped volcanoes, Tongariro National Park is impressive enough when you’ve got two feet on the ground. But from 15,000ft? When you’re plummeting to earth head-first? Oooh, it’s even better then. Go skydiving at Taupo for a bird’s eye view of New Zealand’s wildest playground – where waterfalls roar, glaciers creak, and a trio (count ‘em!) of volcanoes loom over the land. Spine-tingling stuff. 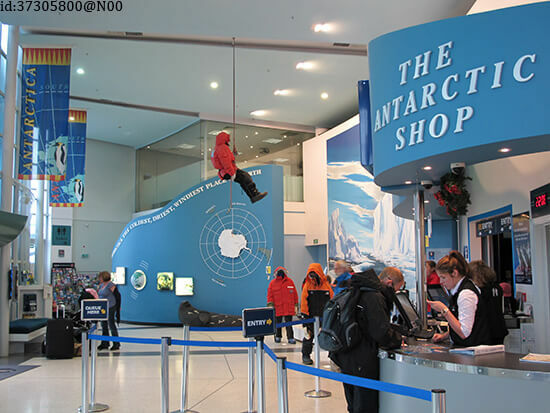 The Antarctic Centre is the closest you can get to the White Continent without boarding an icebreaker. Just down the road from Christchurch, this family-friendly oddity boasts resident penguins, husky dogs, Hagglunds (all-terrain snow trains)… and the world’s first ‘indoor Polar storm’ experience. On paper, Polar storms don’t sound great. But when it’s 18 degrees below freezing and the wind’s whipped your hat off, sheltering in an ice cave is really quite fun. Especially when you know there’s a hot chocolate just around the corner. Flip flops not recommended. It’s illegal to visit New Zealand without seeing at least one kiwi bird. Okay, we lie, but if you don’t seek out any of these weirdly fluffy long-beaked beauties you’re officially a fool. There are five different species on the North and South Islands, and they’re all endangered – so head to a conservation centre like Kiwi House, near Hamilton, to find some. 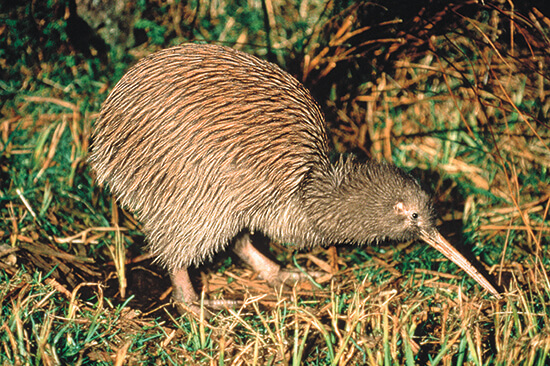 Kiwi birds sleep in burrows, lay huge eggs, and are related to Australia’s enormous emus. True facts! They also have super-sensitive beaks, and whiskers that allow them to ‘see’ in the dark. They are, quite simply, the ninjas of the bird world. Arborist Barry Cox likes to dream big. His latest creation, a church made of trees, is a world first – or at least it will be, once it’s fully grown. You might scoff, but this green-fingered, free-thinking New Zealander has created an utterly beautiful garden – and the church is a rather lovely wedding spot. A serene spot for a walk, even if you’re not swapping rings. Thrill-seekers reckon there’s only one way to see New Zealand: upside down, dangling by your ankles from a bungee rope. But what if you like your adventures a little less vomity? 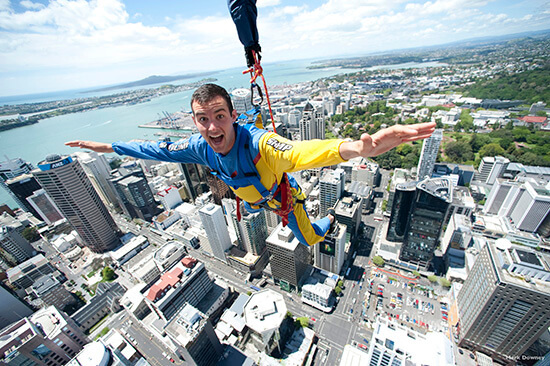 Enter Sky Jump, a big leap off the top of Auckland’s freakishly high Sky Tower. This isn’t your average bungy experience: it keeps you upright, and there’s none of that stomach-churning bouncing. But it’s scary stuff nonetheless – and (if you can keep your eyes open) it’s a great way to see Auckland too. With their towering stature, curious tattoos and internationally-feared war dances, the Maoris seem like a frightening bunch. But don’t be scared: despite their fearsome reputations they’re a gentle, spiritual crowd – and their culture is deep-rooted in New Zealand’s landscapes. 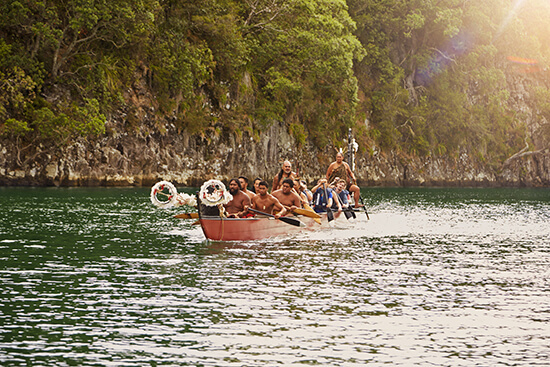 Head to Bay of Islands – home of Taiamai Tours – to paddle a 40ft traditional war canoe down the tidal estuaries of the Waitangi River, under the watchful eye of a Maori guide. This is the place to immerse yourself in folklore, ask lots of questions, and see some of those war dances up-close. Black water rafting is just like white water rafting – except you’re paddling (and swimming) in the dark. Underground. Through a labyrinth of glowworm studded caves. Fancy putting yourself through this terrifying ordeal? 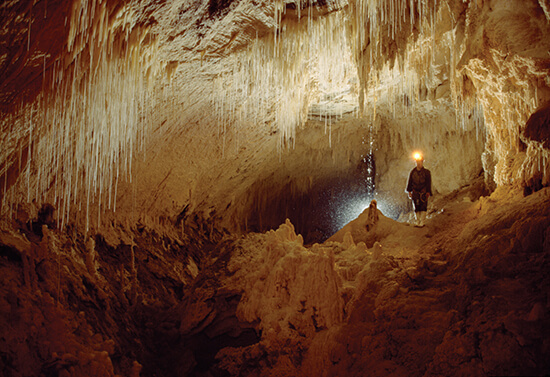 Venture to North Island’s Waitomo Caves, home of the white-knuckle ‘Black Labyrinth’ tour. You’ll edge along underground precipices, climb over waterfalls, and squeal your way down black water rapids. Your reward? A serene float down an underwater river, spotting clusters of glowworms flickering in the dark. The journey ends when you reach the sunlight of Waitomo forest: you’ll be wet, wild-eyed, and in need of a sit down. Speak to one of our Travel Experts about booking your one-of-a-kind adventure in New Zealand, incorporating all of these unique to NZ tours and activities.